Go Green Offers Textile sourcing services to their clients spread over USA, Australia, France, UK, Germany, Switzerland, Italy, Holland etc. from India. We source various products: Home Textiles (Bed Sheet Sets, Quilts, Duvet Covers & other made-ups), Fabrics / Garments (Both Woven & Knits) & yarns (Organic & Organic Fair Trade Cotton & Other value Added yarns like Bamboo & Bamboo Cotton Blends etc.). Go Green is equipped with all necessary equipments & TEAM to run our buying operations professionally. We have reliable, dedicated and versatile vendor base spread all over India from Mumbai, Vapi (Gujrat), Erode, Coimbatore, Ichalkaranji, Indore, Kochin, Karur etc. Each supplier has strong product knowledge and commitment to on-time delivery with acceptable quality. We have adequate number of professionally qualified Product Merchandisers, Quality Assurance and Quality Control Executives. This team is supported by efficient Shipping & Documentation experts and IT systems administrators who are instrumental in effective Supply Chain Management. When you plan a trip to India our admin team will take care of your hotel bookings, local transfers and local transportation. All the appointments can be pre-arranged to maximize the effectiveness of your trip. We have the expertise to open doors for you. We take our clients directly to manufacturers, where in we help to get the best deals in terms of Pricing, Product Quality & Deliveries. Once the Business is finalized, our Merchandising & Quality Control team takes care of the quality & ensures the timely supply of the goods. This helps us offer our customers complete value addition by being their one-stop-shop right from design and development to handling shipping co-ordination. 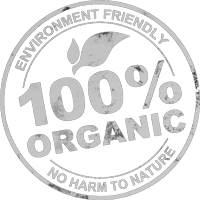 Go Green and our suppliers confirm that all products supplied are manufactured in compliant factories that respect government regulations in force and human rights. We’ve adapted a two-tier system of auditing the supply chain. Internal Audit: Go Green evaluates vendors and conducts audits through a process of systematic assessment and random inspections. External Audit: These audits are carried out by independent Agencies Like SGS / TUV SUD nominated by our clients or Go Green. Q. Why Should one Buy from Go Green Textiles India? Small & Medium size Online stores /retailers / importers are not being entertained by big manufacturers because of their small & multiple product requirements. Even if they are being entertained, they are given the last priority in terms of production & deliveries.